It is the one thing that we all have in common. No matter where we live. No matter what bad habits we have, or good ones we strive to keep. It is the one thing that not a single one of us will be able to escape from. No matter how hard we run. No matter how far we travel. No matter how many good deeds we do. No matter how hard and wide we love. It will one day find us all. We may not know when. Or how. Or where. I have reached that age in my life when I have realized just how much I have to lose. I am not talking about our bank account. Or our credit score. I am talking about people. The people in my life that I love and cherish, and hold so dear in my heart. The people that if they would leave my life, I would feel the void deeply for such a long time. A piece of my heart would break off and be gone with them forever. 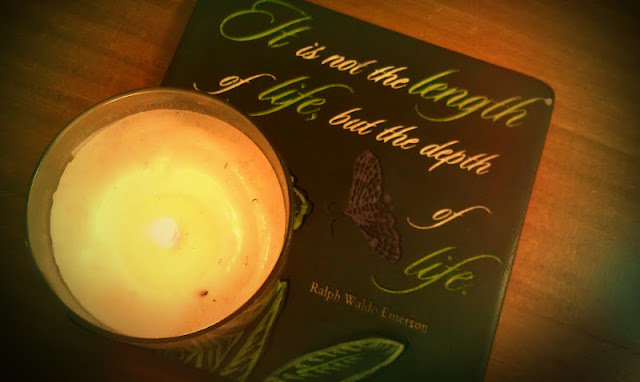 I once read that we all live a lifetime. It is just that not everyone's lifetime is the same length. Some lifetimes are a few minutes. Some a few short years. Some last a couple of decades. And some lifetimes span a century. Other lifetimes are over before they even have a chance to start. I think of my grandparents, my husband's parents. My children and the cruel unpredictability of this world. And I know sooner than I would like that phone call will come. How do you brace yourself to hear those words? To accept that reality? To ready yourself to one day let go of those whom have always been a part of your life, of your reality? Is it even possible to ever let of go of those who have become a part of your very soul? 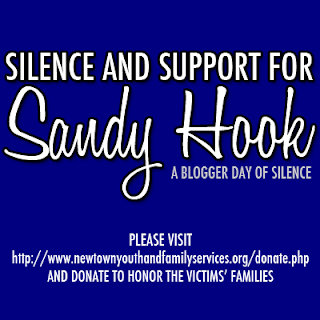 This Tuesday, December 18th, I will be participating in Silence and Support for Sandy Hook- A Blogger Day of Silence. I will post the button you see below on my blog that day and nothing else. If you are a fellow blogger, I encourage you to also join in on this Blogger Day of Silence. Bloggers and readers alike, please consider making a donation to the Newtown Youth and Family Services Organization. All donations made will be used directly for the benefit of the families affected by the tragic shooting at Sandy Hook Elementary School on Friday, December 14th.